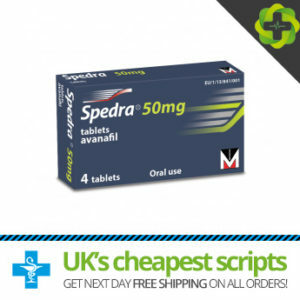 This medication contains the active ingredient of Tadalafil and it is used in the treatment of erectile dysfunction (ED), also known as impotence. Tadalafil can work for up to 36 hours offering longer lasting and better results to achieve and sustain an erection. Buy Tadalafil Online here at The Medication Store. Tadalafil is available in two forms both have the same ingredients but are prescribed for differing purposes and should always be taken as instructed by your doctor. 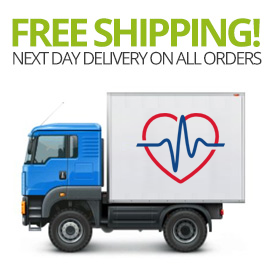 Both Tadalafil Daily and Tadalafil 36-Hour are available in different strengths and your doctor needs to decide which dosage of Tadalafil is most appropriate for you. 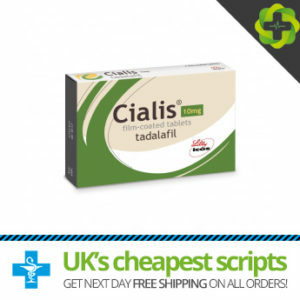 Tadalafil should only be taken as directed by your doctor or medical professional and following the Tadalafil information leaflet which contains information regarding side effects that may be experienced. If the medication does not work as required, it is important to consult your doctor or medical professional. Tadalafil is fast acting and works quicker than other erectile dysfunction (ED) medications. The ingredients contained in Tadalafil are easily absorbed into the body and goes into action quicker. Tadalafil can be taken with or without food although if taken after a heavy meal it may take longer to work. When taking Tadalafil Daily it may take up to 5 days to attain the full effect, this being due to the low dose which will gradually build up, although once the medication does take effect it will work continuously. Tadalafil has been proven to work for up to 36 hours after taking the medication . Tadalafil Daily offers a more effective solution to erectile dysfunction (ED) as this medication is taken daily and gradually builds up therefore it works continuously.